National Day of Mourning on Wednesday, December 5th. 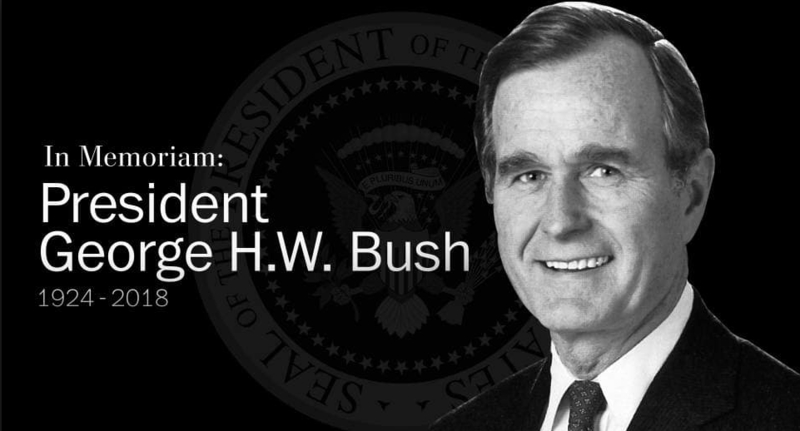 In memory of President George H. W. Bush, U.S. equity, options, and bond markets will be closed tomorrow. ZEGA will be observing the day but will keep a skeleton crew onboard for client questions. One thing to note is that no ZEGA strategies hold any options with an expiration date of Wednesday December 5th. This market closing will not affect any of the options positions in the ZEGA strategies. TD Ameritrade did send out a generic email talking about any options that had a Wednesday expiration but this does not affect any ZEGA Clients.